Raphael Weisman is a retired harpmaker and luthier (Musical Instrument Maker). He was born in South Africa, and lived in Israel for 7 years, receiving his Batchelor of Arts degree in English Literature from the Hebrew University, Jerusalem. 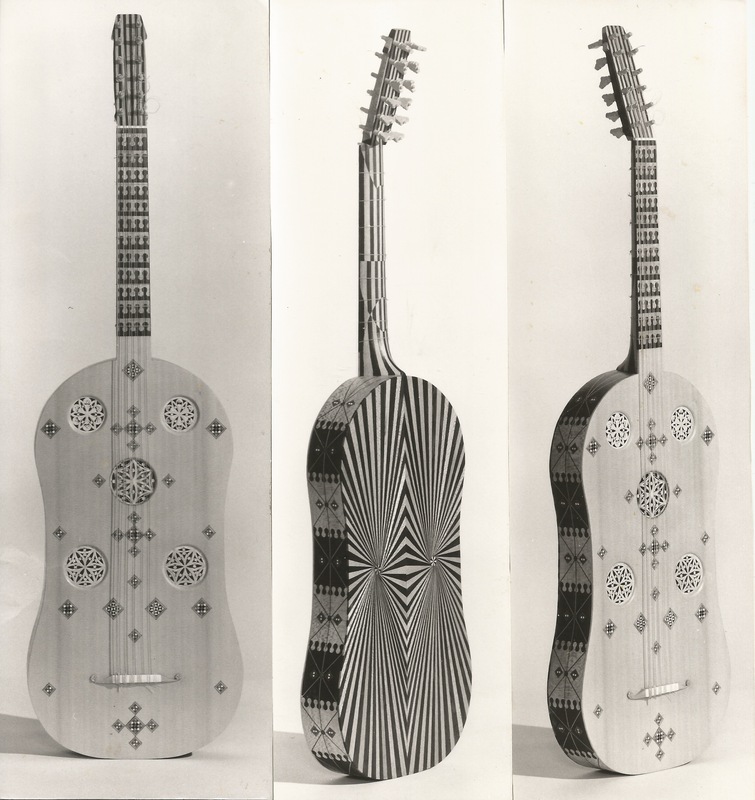 He lived in London for another 7 years, where he trained to become a maker of Early Musical Instruments and shared a workshop beside the Early Music Center, building Lutes and other Early Instruments. He landed in New Mexico via Laguna Beach CA, building a home and workshop near Questa NM where he founded Harps of Lorien, focusing on building Folk Harps and Lyres. He created the Kinder Lyre used by Waldorf School families and communities around the world. He developed Pentatonic Meditation Instruments forhealing and specialized in building Therapy Harps for use in hospitals and hospice. He wrote articles about the developing field of harp therapy and the use of the Pentatonic (5-note scale) instruments for meditation and family time. He hosted a Celtic/World Music program on KRZA Public Radio while living in the Questa area and served as an EMT, and was a founding member of the Latir Volunteer Fire Department and the Questa Vecindad (Neighborhood) Chamber of Commerce. In 2011 he moved to Santa Fe, NM to organize a free event called Live As One on 11/11/11, to celebrate the interconnectedness of all life. Live As One, also called Occupy The Heart (It was the time of Occupy Wall Street!) brought together a number of his passions, namely The Heart, Water, Music, Dance, Nature and Community and he felt like the event opened a portal in Santa Fe which has continued to grow steadily. He met Dr Emoto during his visit to Taos, NM and invited him to participate as featured guest. Originally he agreed but later had to cancel. He created Healing The Scars, a New Mexico non-profit, under the fiscal umbrella of Soul Support Systems to offer support, relief and healing to those suffering from the effects of war, trauma abuse and PTSD, including Veterans and victims of war and violence. Healing The Scars brings together HeartThread and standard therapies such as Art-, Dance-, psychotherapy etc. and a variety of healing modalities like Acupuncture, Massage, etc. Raphael’s passion for Water and Nature led him to create the Santa Fe Water Awareness Group which brought together experts and public interested in all aspects of Water Consciousness and eventually led to the construction of Medicine Water Wheels and Ceremonies which are still ongoing. This also led him to an association with Grandmother Flordemayo & the 13 Indigenous Grandmothers, activities as an Elder with the “Millennials” at various “Conscious Music Festivals”, Registration Coordinator at the Gathering For Humanity, held in 2018 at the Chi Center, Volunteer Coordinator of the last Ageless Living Conference in Santa Fe and an active builder of Community. Raphael is a visionary, a poet, an artist, a channel of Angelic and Divine wisdom and healing, an Ordained Minister and a writer. He loves to dance, and is an avid hiker and a lover of trees and the Nature Kingdom. He is a musician and loves to sing and to jam on flute, harp and harmonica. He is actively engaged in research into the Ancient Mysteries and the interconnection between the wisdom traditions of the Druids, Essenes, Jewish and ante-diluvian civilizations and co-leads tours to Ireland, where he channels “The Shining Ones” and performs ceremonies to bless and heal the land and the people.